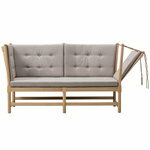 Fredericia’s Spoke-Back Sofa was designed by Børge Mogensen in 1945. 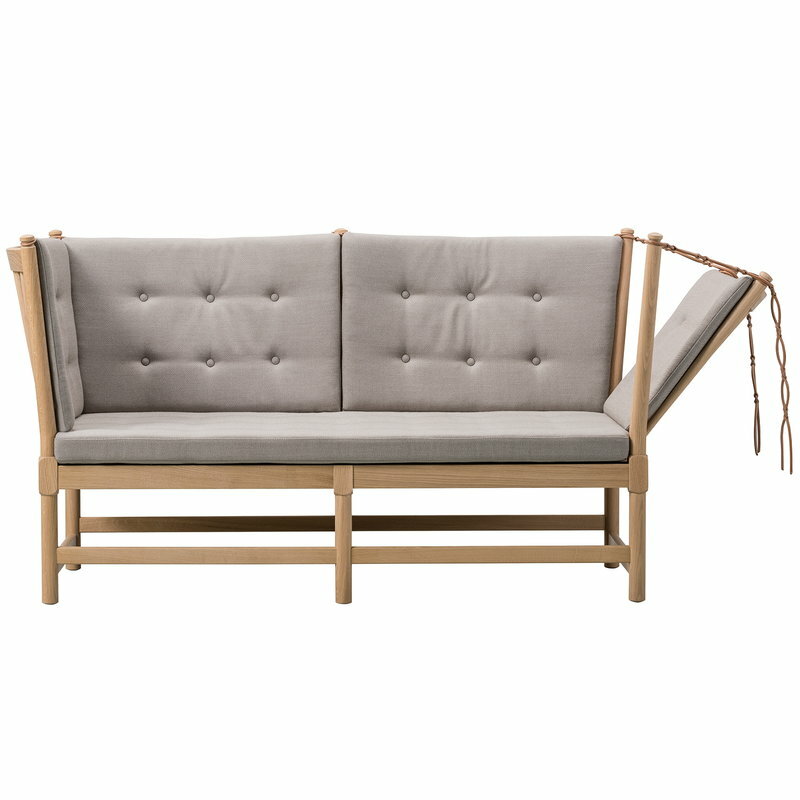 Spoke-Back is a clever hybrid of a daybed and chaise longue – the compact wooden sofa has a hinged side that allows its width to be expanded to almost two metres. 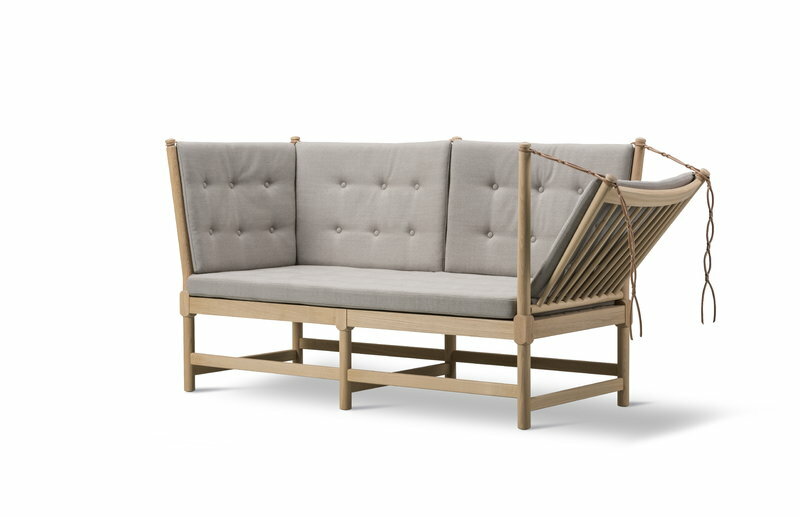 Upholstered in durable wool fabric, Spoke-Back can be used for lounging sofa or an extra bed, and its unique, organic appearance complements many kinds of spaces. The sofa has been manufactured in Denmark. Danish furniture designer Børge Mogensen (1914 –1972) was one of the most influential designers of the Danish modern. Mogensen studied furniture design at Royal Danish Academy of Fine Arts, and his designs aimed at functionality, minimalist appearance and easy accessibility. 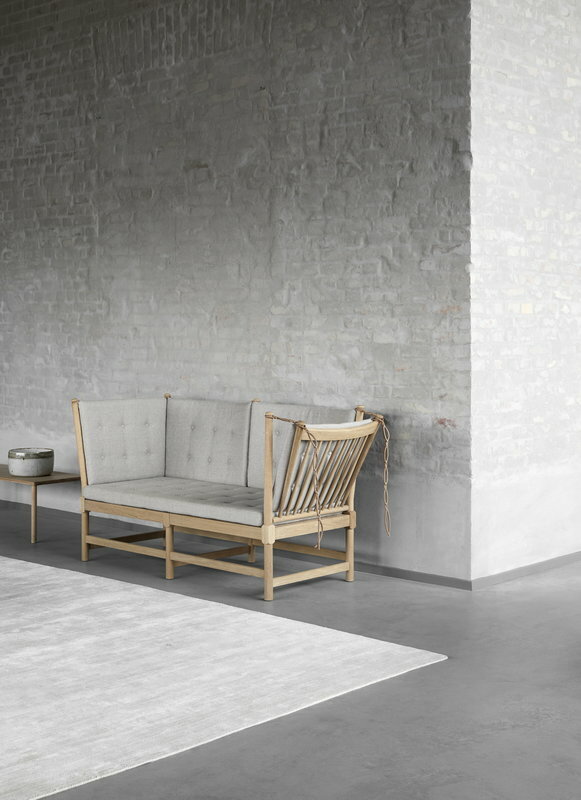 Soon after his graduation Mogensen was named the chief of Danish Consumers’ Co-operative Society FDB, which focused on producing functional, durable and affordable furniture for all social classes. Mogensen’s designs were often extremely modest and confident at the same time, and the same goes for his personality. Mogensen preferred to work with traditional and natural materials, but also liked to experiment with new techniques and supported the industrial production of furniture. His work was also influenced by folk art, lithography and Japanese wood carvings. During his career Mogensen was awarded with the Eckersberg Medal and C.F. Hansen Medal, and in 1972 he was named Honorary Royal Designer for Industry by the British Royal Society of Arts.